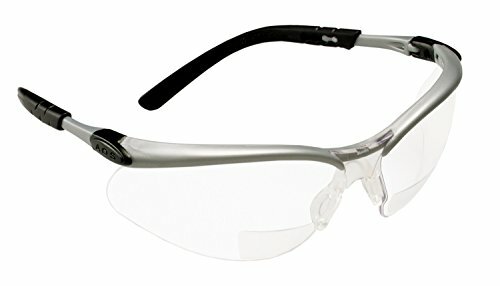 3M BX Reader Protective Eyewear is designed for workers who have difficulty reading small print or are engaged in small detail work. It features magnifying dioptres, lightweight lenses with adjustable soft tip temples and integrated sideshields. 3M BX Reader Protective Eyewear is designed to help those engaged in small detail work. The polycarbonate lens has three lens angles for a custom fit. Integrated sideshields and soft nose bridge provide comfort for extended wear. These sleek, contoured and adjustable safety glasses help protect your eyes from impact and UV.